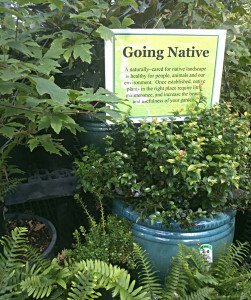 Bellevue Nursery selects trees and shrubs that are ideal for smaller gardens and patios. Many of our plants make fantastic container plants for entryways, at the end of a dock or as a courtyard focal point. Follow the adage ‘Right Plant Right Place’. When you match the right plants to the right environment (exposure, soil, water needs, size, etc.) your plants will be stronger, healthier, more attractive and will require less maintenance. Trees and Shrubs are some of the most practical and beneficial plants you can have. They lend permanence and structure to landscapes and offer both beauty and functionality to our environment. Trees and shrubs function as windbreaks, prevent erosion, keep our homes cool, feed us, clean the air, offer privacy, screen out noise, cover eyesores, attract wildlife, increase our property value, and enhance the bio-diversity of our living and working spaces. PLUS, urban greening has a calming effect on humans! Some plants are just classically elegant as gift plants to celebrate that special occasion or express a deep sentiment. We will be happy to help you select the perfect plant.